In some countries you can ride for hours and hours – even days – on dedicated bike paths, sometimes completely out of view of cars and other such unpleasant sights. In Portugal, provision of such ecopistas or ciclovias is patchy. Some great routes have been planned but sadly most are no further than the drawing board. This also applies to most of the Euro Velo routes – they exist in theory but many are very badly signposted (if at all) and are not always on the best cycling routes. But there are a few definitely worth exploring – and some potentially great projects in the pipeline. Below are details of a few of those that visiting cyclists might find of interest. Plus some schemes that might one day produce something special. The list below is divided into the usual sections for Northern Portugal, the Beiras, Lisbon & Central, the Alentejo and the Algarve. Paths – with details of their length, condition etc – are listed under the name of the nearest town. You might want to check out the Ciclovia website. Although this in all in Portuguese, it contains lists of cycle routes all over the country – from a few km of beach boardwalk to longer trails. The site is broken down into lists by region and town/district. There are also links to maps for each route. Also of possible interest is the EcoviasPortugal website. Written in both Portuguese and English, it includes details of a ‘national greenways network’ due for completion by 2020. 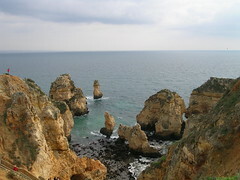 The map shows routes already in existence – though be warned that some, like the Ecovia Litoral in the Algarve (see below), are quite variable in standard and accessibility. AMARANTE: The Ecopista do Tâmega is a 40km ecopista built along the line of a metre-gauge railway that used to follow the Tâmega valley. The railway was shut to commercial traffic in 1990 and now forms part of the European Greenways Network. The ecopista now runs from Amarante, through Celorico de Basto and up to Arco de Baúlhe. There’s a section of about 3km that is unsealed but this should be completed once work on a nearby dam is finished. 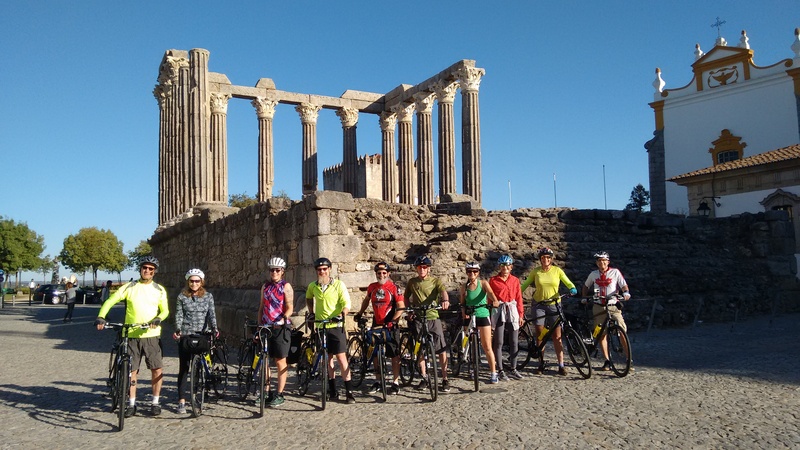 The link above is to the Portuguese Ciclovia website – which has links for three maps covering the route. For a more detailed description and pictures this Crazy Guy On A Bike journal by Fernando Silva is well worth a look. GUIMARÃES: Around 14km of converted railway line link the historic city of Guimarães with Fafe to the east. Recommended by Kim Purdy in November 2014. 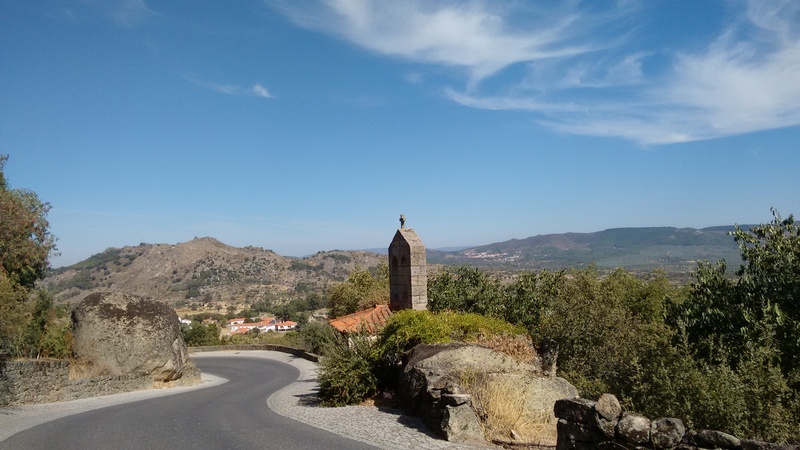 For links to maps, see the Guimaraes – Fafe page on the Portuguese Ciclovia website. TORRE DE MONCORVO: The Ecopista do Sabor follows an old railway line from where the Rio Sabor joins the Douro and extends east of Torre de Moncorvo. 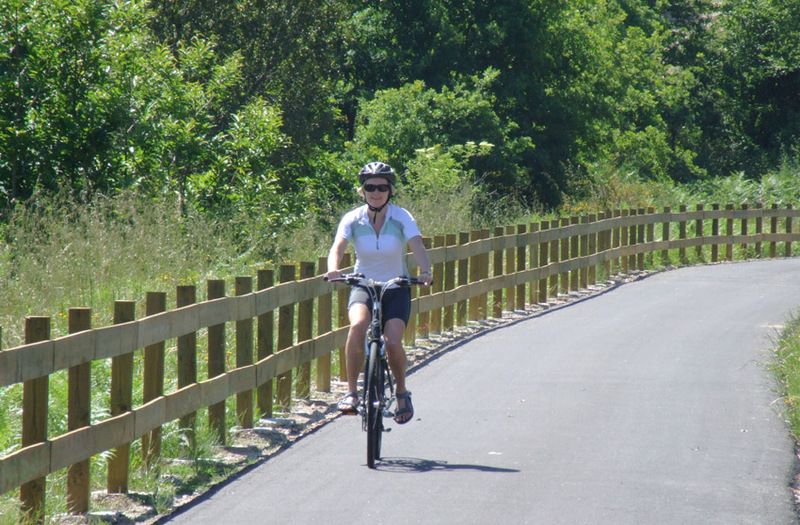 Plans exist for a 104km cycle path along the disused line, which would be be absolutely stunning. Unfortunately only around 25km has been tackled so far. At the moment, it’s okay for mountain bikes but not great for tourers or other road bikes as it’s a gravel (mud) surface. I explored a short section in September 2014 and it was too wet to be practical. ALBERGARIA-A-VELHA: The Ecovia Sever do Vouga is a 14km route following an old train track up the Vouga valley inland from Aveiro. Most of it is sealed and, being an old railway, there are no steep gradients. The link is to a write up with pictures on the RideWithGPS website. SANTA COMBA DÃO – see Viseu. VISEU: The Ecopista do Dão is probably the best cycle path in Portugal. 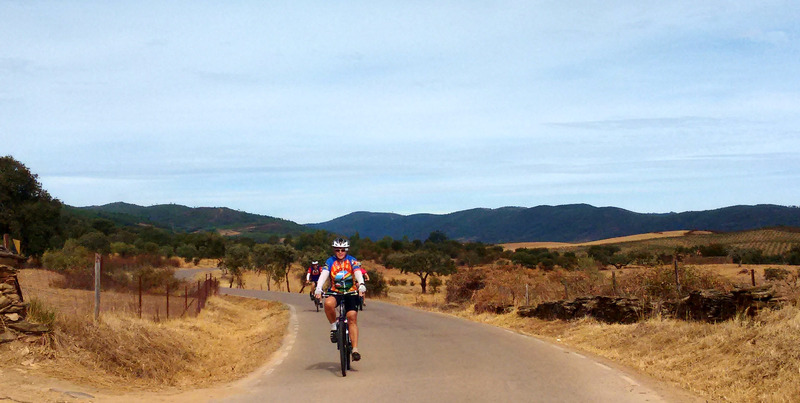 It’s a 52km section of converted railway line linking Viseu, Tondela and Santa Comba Dão. Good surface, almost 100% car-free, gentle gradients and beautiful scenery. ÉVORA: The Ecopista Ramal de Mora is another converted railway line. Starting from the eastern side of Évora, the path is sealed for the first 6km or so but turns to gravel as it heads roughly north for just over 20km towards Arraiolos. The old line continues to Pavia and Mora but a few bits have been fenced off (probably illegally). Plans exist to extend the path to 60km to Mora but as far as I’m aware this is another project yet to be realised. There’s very little official information online about the state of the project. Any updates would be welcomed. The main link above goes to the excellent Ciclovia website. There’s also a good description (in Portuguese) and lots of pictures by rider Fernando Cardoso on this blog post. 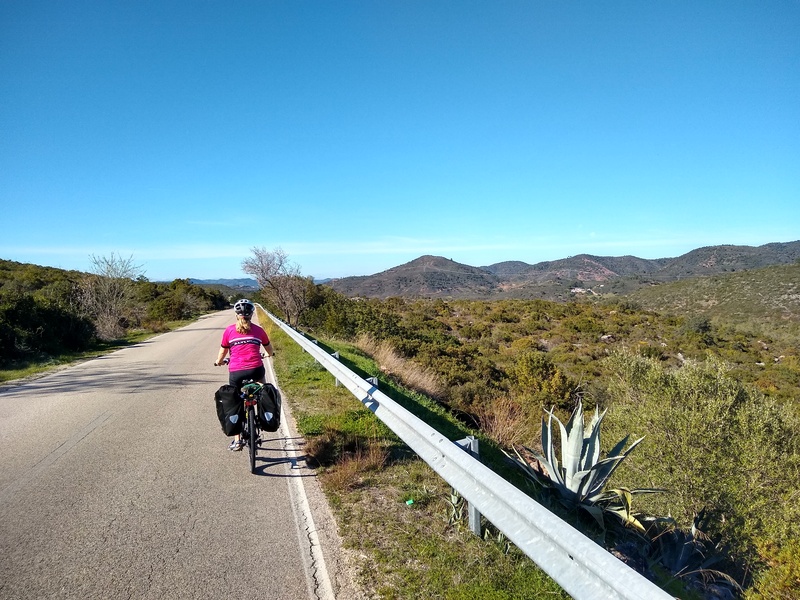 Ecovia do Algarve: This cycle path – which is part of the Euro Velo 1 Atlantic Coast Route – is supposed to go the length of Portugal’s southern coast, from the Spanish border to Cabo São Vicente at Sagres. Sadly, this is another one of those projects where only parts have been completed, and some of those that are officially ‘implemented’ are of dubious quality – really badly signposted and on normal roads or shared paths. I’ve seen bits of the section between Lagos and Sagres and I wouldn’t recommend making an effort trying to follow it. Any update on other sections would be welcomed. I haven’t been along that coast recently (not cycling anyway) but I wouldn’t trust the official site. Somewhere there’s some small print that says some of the routes are planned rather than realised! 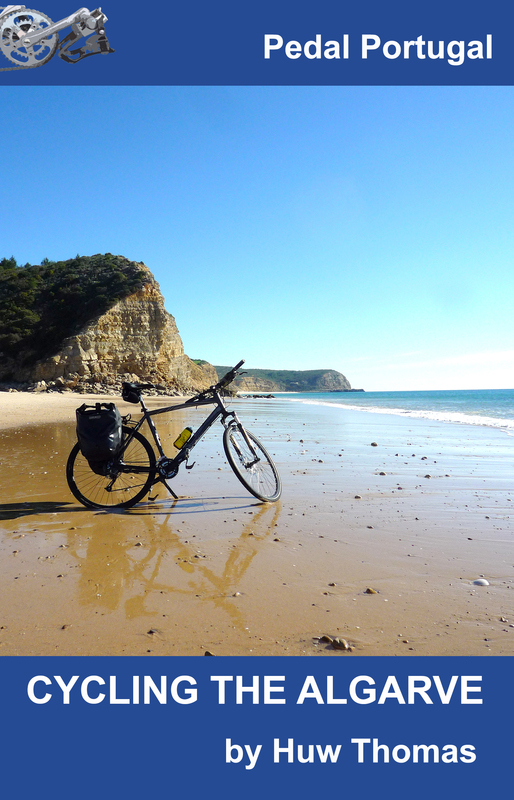 I know there are some bits of cycle path between Peniche and Ericeira but I’m not sure about the rest of it. There’s supposed to be a Eurovelo route down in the far SW and that’s very badly marked. The coast between Lisbon and Porto is also generally quite built up and busy – you’ll find quieter roads inland. There is also the Ecopista do Tâmega. I’ve tried around late 2014 and I found it to be quite impressive, considering the lack of good cycle paths we have this country. It’s around 40k with only a small 4/5k section of gravel road, the rest is nicely paved. I’m glad you like the site. Thanks very much for the top about the Ecopista do Tamega. I don’t know this one – I’ll have to ride it on one of my next visits to Portugal.